Hailed by The New York Times as “imaginative and eloquent” and dubbed “a local hero” by The Boston Globe, cellist Rafael Popper-Keizer maintains a vibrant and diverse career as one of Boston’s most sought-after artists. He is principal cellist of the Boston Modern Orchestra Project and the Boston Philharmonic Orchestra, as well as a member artist of Emmanuel Music, Chameleon Arts Ensemble, Winsor Music, the Ibis Camerata, and Monadnock Music. Praised by The Boston Globe for his “melodic phrasing of melting tenderness” and “dazzling dispatch of every bravura challenge,” Mr. Popper-Keizer has appeared as a soloist throughout the United States. In recent seasons he has performed the Saint-Saëns Concerto in A minor, with the Boston Philharmonic; the Beethoven Triple Concerto, with the Indian Hill Symphony; and the Dvorak Concerto, with the University of Santa Cruz Orchestra. In April of 2009, Mr. Popper-Keizer was the subject of an in-depth profile in The Boston Globe in which he was recognized as one of the area’s busiest and most versatile musicians, his career routinely encompassing everything from continuo in 17th-century motets to solo recitals to avant-garde improvisation to indie rock. 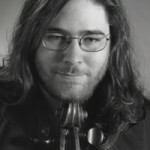 He has collaborated with members of the Borromeo and Muir String Quartets, the Museum of Fine Arts Trio, violinist Curtis Macomber, and flutist Eugenia Zuckerman, and has toured extensively with the CORE Ensemble, a nationally acclaimed percussion trio with over twenty commissions to its name. 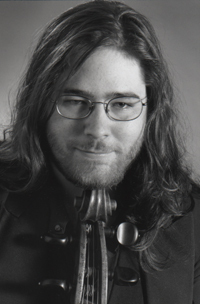 Mr. Popper-Keizer has made guest appearances with innumerable ensembles throughout New England, including the Fromm Chamber Players, Boston Musica Viva, the Boston Trio, the Rockport Chamber Music Festival, Walden Chamber Players, Firebird Ensemble, and John Harbison’s Token Creek Festival, among others. Mr. Popper-Keizer has been featured on over a dozen recordings, with five new releases in 2010 alone. Rafael Popper-Keizer is an alumnus of the New England Conservatory, where he studied intensively with Laurence Lesser, and of the Tanglewood Music Center, where he served as Yo-Yo Ma’s understudy for Richard Strauss’ Don Quixote under the direction of Seiji Ozawa. He also studied with Stephen Harrison, at Stanford University, and Karen Andrie, at the University of California at Santa Cruz.